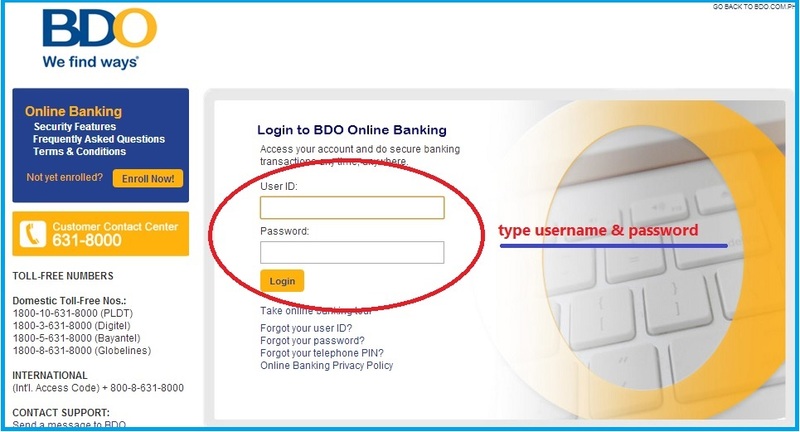 I was able to get inside my BDO online banking by doing the ‘Forgot Password‘ link. And I went through remembering the 2 secret questions, getting the 1-time password they sent to my Mobile, and changing it on the site. (Look at the images then read the descriptions that follow). Type in your username and password. Make sure your Mobile is just right beside you as it will prompt you to key in the 1-time password that they’d send. Under Enrollment Services, click Company Biller, then Enroll. 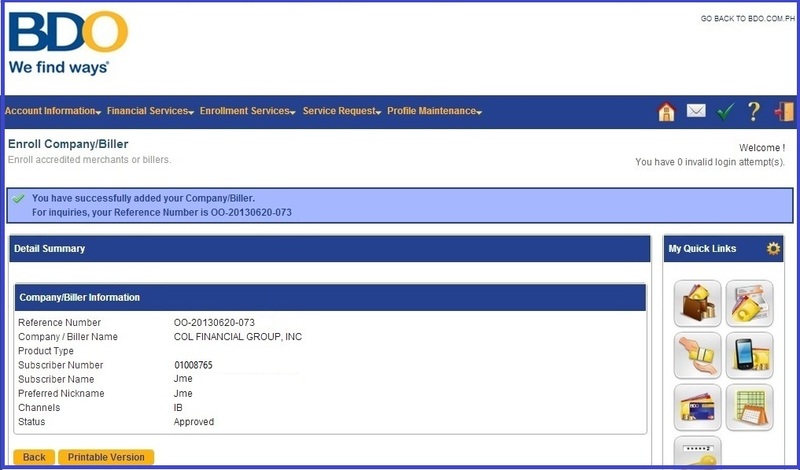 Choose COL Financial Group, Inc. as the company. Put your own COL Account Number. (Emphasis on the OWN Account Number! Some people have asked me for COL’s account number coz they wanted to deposit their initial investment. It is important to know that you need to WAIT for COL’s official email giving you your own Account number and instructing you to fund your account). Write your Subscriber name (e.g. Joint Account, Account for my Daughter, etc.) Here, I am enrolling my youngest’ COL account. Write your Preferred Nickname (optional). Done. You will then get this confirmation. 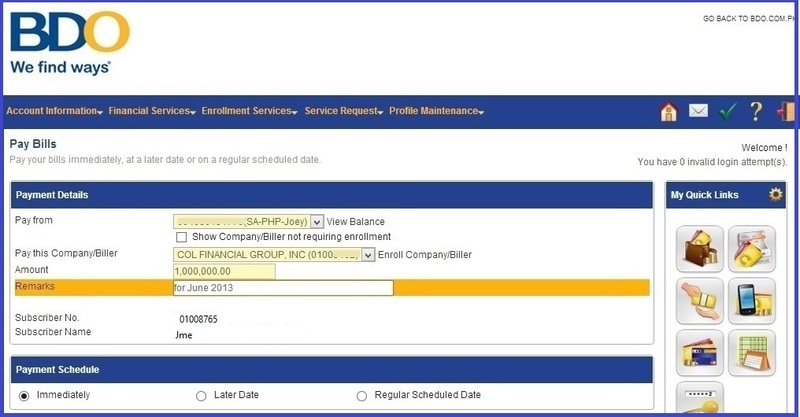 Under Financial Services, click Bill Payment then Pay Bills. Choose COL Financial Group, Inc. (or if you have more than 1 COL account, choose which one). You can actually schedule your payments. See the choices on the bottom part (Immediately or Regular Scheduled Date)? Choose which 1. Put some remarks (optional). And click Submit. Simple, huh? Now, go ahead and enroll. Make your life easier! Miss Joey, Thank you very much! 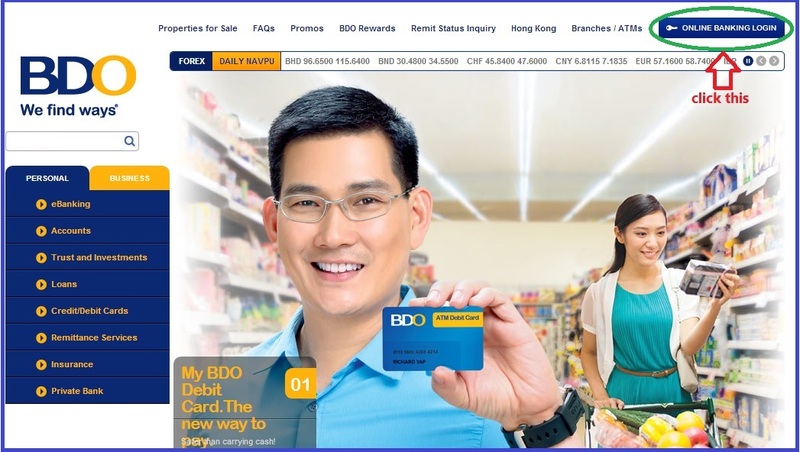 nakita ko din ang hinahanap ko….on how to enroll COL with BDO Online Banking. Your blogs is a big help for me. I have my approved complete docs from COL. I can start funding my account and looking forward for my stocks investment. I hope God will guide me for my venture. I’ll keep in touch. My second time around reading your blog, I hope that this will be the final attempt. So excited to start buying stocks. Thanks a lot for all the support to Truly Rich Club members. 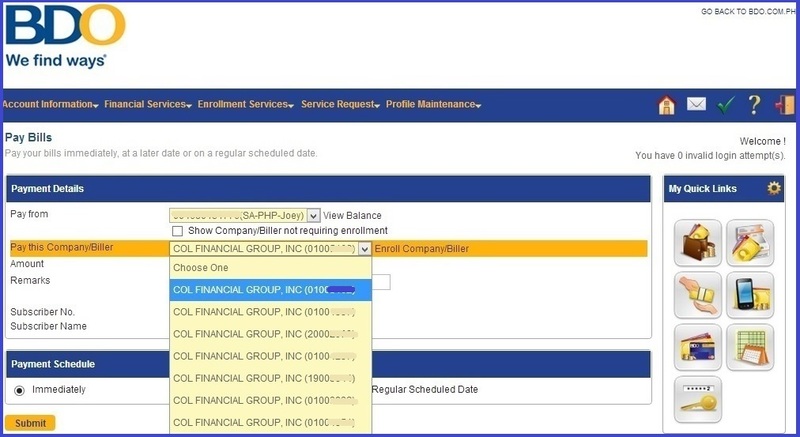 How many times I attempt to enroll my account in BDO but it was failed, the reason why I come back again to check and I found out now, I click in ( Online Banking Log in) on top which is not right. Now I’m in Kuwait, it is possible to use my mobile for them to send my password? Pls remove the dash when you’re enrolling your COL Acct number. Just write the 8 digits. will the bdo charge for this? What is more practical, to open an account in COL first than Truly Rich Club or the vice-versa? I understand that the Truly Rich Club has monthly membership fee. The day that TRC accepts me the meter runs. What if COL does not accept me or it takes too long to accept me? What’s the use of my membership in TRC in that effect? Kindly enlighten me with this matter. Hi there Rey. It really depends on your outlook. TRC is distinct and separate from COL. You invest with COL. We learn from TRC, but not just abt stocks, but abt spiritual growth and having an abundance mentality as well. Some people join TRC for the spiritual and emotional guidance it gives, not just abt stock investment, which is just a bonus. The power talks alone are worth more than thousands. You’re actually picking the brains of these great mentors like Bo Sanchez, Edward Lee, Dean Pax Lapid, among others. Aside from that, you get a great environment of like-minded individuals in our TRC Forum/Soical Site where members chat and gives tips abt getting truly rich, in the real sense of the word. Again, it really depends on how you look at your membership with TRC. Is it a waste of money or an investment for your spiritual, emotional and financial growth? How much is the monthly membership of truly rich club?